Full disclosure: Dave introduced me to breathwork and it changed my life, so this review may not be fully objective. But then, this book is as much a manual to use as a book to read, so it’s natural that I’m informed here by my experiences. 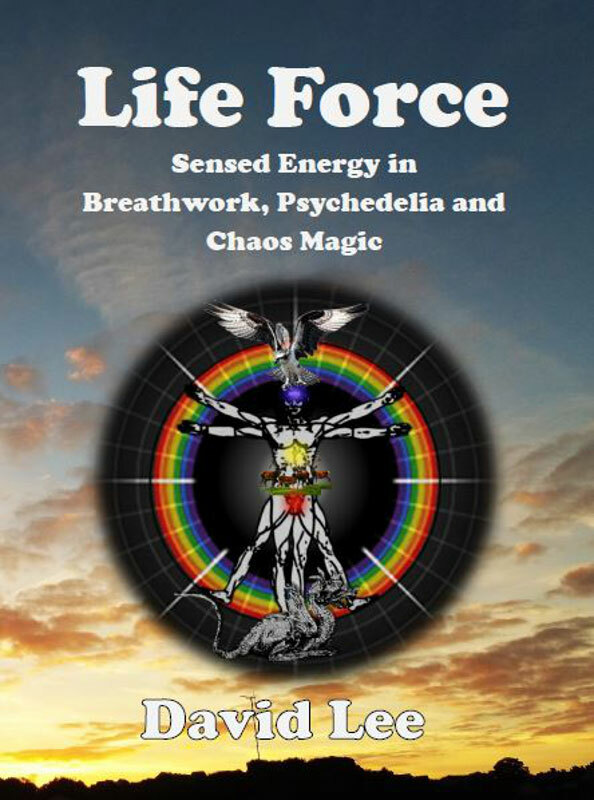 Life Force brings together extensive experience with intensive breathwork, life-long experiments with psychedelics and sorcery, and open-minded scepticism — all rallied to try and make some sense of the occult idea of ‘energy’. It’s a tour de force synthesising deep experience and insight with practical guidance. As used in occult and especially New Age circles, the term ‘energy’ is simultaneously vague and freighted with meaning. Dave’s attitude here exemplifies the most laudable aspects of the magical current he’s associated with, Chaos Magic. It’s a deft juggling act, balancing critical assessment against a pragmatic and enthused will to dive into things and see what works. His scientific background is rallied where necessary, but the stuffier end of that discipline never gets in the way of a generous embrace of lived experience, and an agnostic, multi-model approach to true weirdness (such as experiences that Dave refers to once with a wonderful phrase: ‘non-respectable exchanges of information between human nervous systems’). Although later chapters deal with unexplainable instances of magical acts apparently working from great distances, the use of the term ‘sensed energy’ in the subtitle makes it clear that we’re mostly dealing with those tangible sensations which course through — and occasionally between — our bodies in various states of arousal. From the sometimes overpowering pulsations that vigorous breathing can induce, through the alchemy of sexual intimacy, to the bizarre psychophysical phenomena frequently catalysed by psychedelics, the full array of energetic experience is surveyed. Techniques are fleshed out with fascinating anecdotes, mythological perspectives, and reports from the many people Dave has coached in breathing techniques. The term ‘Connected Breathwork’ is used here to cover a range of ‘branded’ techniques: for the most part, Rebirthing, Vivation, and Holotropic Breathwork. 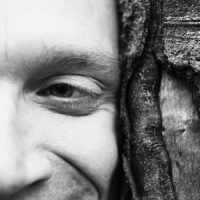 There’s some coverage of gentler ‘preserving’ techniques like the standard pranayama, and an anomalous slow, shallow breath (Buteyko), but the emphasis here is on the ‘disruptive’ techniques which can provoke sometimes astonishing altered states. Stanislav Grof devised Holotropic Breathwork when his psychiatric work with LSD became illegal at the end of the ’60s, and while I’ve not had breathwork experiences that match psychedelics for intensity and sustained depth, I’ve heard reports from more than a few people who have been plunged by these techniques into states which surpassed their experiences with acid or ayahuasca. The crucial difference — and the real key for me — is the control you’re able to exert. By varying the depth and speed of the breath, you learn to ramp up or down the energy’s intensity — ‘volume control’ it’s called here. Once properly coached in this, I was able to push myself into states very close to the panic attacks which afflicted me for some years — but hold at the edge, acclimatise, pull back maybe, then go in. Going in becomes much easier once you know you’ve got a lifeline out. Over the course of years of off-and-on practice — following coaching with Dave with an excellent Rebirther in Bristol called Doug Sawyer, who guided me through the mind-blowing intensity of doing this in a very hot bath — I managed to decisively re-orient my body’s traumatised energy patterns. It’s hard to overstate how powerful and eminently useful these techniques are. There’s an attempt here to take on board a northern European backdrop for energetic phenomena, specifically the three-levelled Norse model of the body-mind. Wod is the most rarified level, thought and consciousness. Astyr is the thickest level, our deepest and least conscious emotions and passions. Between them is the level this book works with: athm, the life-breath, the body’s pulsations which follow attention. Us northern Europeans are in an odd situation, where a local term is new and unfamiliar next to the oriental terms like qi and prana. We do have our home-grown Reichian orgone, though that doesn’t seem to have found much of a life outside the work of its originator. It seems likely that qi and prana have found a long-term home in our language, though it is interesting both to frame things with the new/old athm, and to explore the other mythic Norse correspondences Dave draws between the tree Yggrasil and the body as a system of sensed energy. There’s also a fascinating section on the notion of an autonomous soul-being which embodies our deepest spontaneous energies — the ‘Fetch’ in English folklore, or the fylgia in Norse myth (an animal form which will ring loud bells for lovers of His Dark Materials). The book is flawed — for instance, the production doesn’t match the superlative range and wisdom of the content. However, it has to be emphasised again that while this is — thanks to Dave’s lively style and wonderful weird tales — an entertaining read, it’s primarily a book that demands action and experience rather than fetishisation on a shelf. After the incredibly rich mine of techniques, tips and pragmatic observations, the final section is titled, ‘That’s All Very Well in Practice, But…’. Here, theory is suitably relegated, but not dismissed. What matters in magic, as we have been arguing all along, is our ability to believe in whatever makes our magic work. Everything else, all that playing around with exotic theories, is for fun. It’s hard to imagine a better guide for anyone wanting to step into, or dive deeper into, the body’s ability to fire itself into truly transformative states. Healing, sexual ecstasy, being reminded that the world is ‘neither dead nor human-hearted’, and having mind-blowing fun — all are right there in the breath that bridges the upper and lower reaches of our being. Life Force by Gyrus is licensed under a Creative Commons Attribution-NonCommercial-NoDerivatives 4.0 International License.